I'm exhausted. I allowed myself to sleep an additional twenty minutes this morning and didn't hit the treadmill (bad girl) but I really needed that little bit of additional sleep. I'm really looking forward to tonight - for the first time in two months I will be able to sleep in on Sunday morning. This is the ultimate luxury! 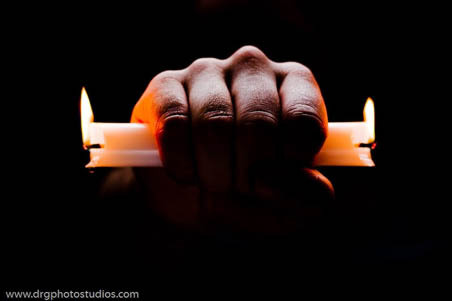 So I'm writing a celebration to sleep today because, quite honestly, that candle I hold that burns from both ends does singe my hand now and again. My story for Teitho is finally working after being slapped into its fourth revision. I'm almost through the umpteenth edit and things are starting to jell. I need to finish this story and then I can start my LOTR Community piece. Thank goodness they extended the deadline for that one because the elements were sent out quite late, but at least one idea hit when I read through my elements, so I think I'll have something I can do. 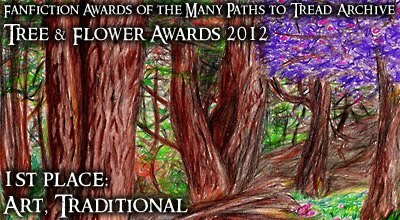 And Thank You to all who voted for my artwork "And Maedhros Stood Aside" for the Tree and Flower Awards. I won Overall Winner for the artwork and am very, very happy. I also won three 3rd Place awards and three Honorable Mention awards for stories, so I'm absolutely thrilled. Call me happy today (as well as sleepy). Current Location: Shower is calling me - maybe that will awaken me. Congratulations! and sleep well tomorrow! I was so pleased to see this as the overall art winner - well done! I was so amazed and still can't quite believe it. Thanks so much! I know at some point I'll have to slow down, but right now my crazy schedule is all that allows me to have any writing time at all. So I sacrifice some of my physical health for the sake of my mental health. It's not the best bargain but it's all I can do right now. Thanks so much for the positive comments and help you've given me so many times. It's appreciated even when I may not say so. Congratulations on your wonderful wins! Oh, I love the poem! Thank you so much for all of your support over the past years, it is gratefully appreciated. *hugs* and a snack to Pippin! Thanks, Binky. I slept for almost 12 hours! Guess I really needed the rest - LOL. I've always loved "And Maedhros Stood Aside," its placing was completely well-deserved. 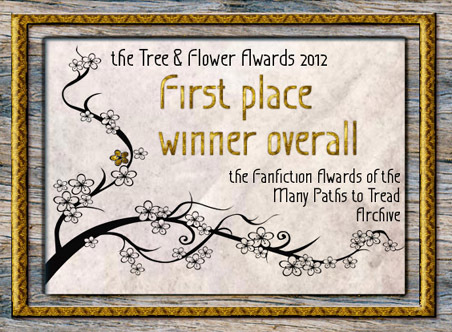 You really deserved Outstanding for "And Maedhros Stood Aside." I loved the energy in the picture, the glow of the light, the tone. I'd like to ask your permission to stick a copy of it in my "Inspirational Items" folder, where I go to reflect on things when my writing gets stuck. Did you get snow yet? It's damp and cold here. Oh, you are so kind. If you would like a copy of it I'm happy to let you grab a copy, or if you prefer, I'd be happy to Email you and attach it. Just let me know your preference. They got up to a foot in the arrowhead, but we just got cold and windy. So far we've escaped the true winter weather and are still in autumn. We're running about a week ahead of schedule, though, so that doesn't bode well for keeping the snow away for long. Congrats! Glad you mentioned this, because I hadn't looked at the awards much, and your piece is great! Oh, thank you so very much. I'm totally thrilled! Congratulations! You already know I really like "And Maedhros stood aside"! I hope you've caught up on sleep a bit. Twelve hours of sleep later, I almost feel human again - LOL. Thanks for your support. I just got lucky with "And Maedhros Stood Aside", but I'm very pleased. Congrats and enjoy the extra sleep! Thanks so much. I slept for 12 hours and I'm still tired. Crazy!